When your facial skin comes into contact with excess oil, either through its own production or through your hands, phone or greasy food, your pores may become clogged. Oil combines with dead skin cells, dirt and cosmetics to form small, hard plugs in your hair follicles called blackheads, which are the initial stage of acne. When they become infected by bacteria, they can progress to the second stage, a full-blown pimple that may be particularly painful on the lip. Blackheads on your lip line can and should be removed. Wash your face with a cleanser containing salicylic acid. According to the New Zealand Dermatological Society, salicylic acid helps break down blackheads and whiteheads. Rinse with warm water and dry your face with a clean towel. Used towels can harbor bacteria that can exacerbate an acne problem. Make a paste by mixing 1 tsp. of baking soda with a few drops of water in the palm of your hand. Gently scrub the blackhead with the paste, using a circular motion. This helps to exfoliate the skin and prepare the blackhead for removal. 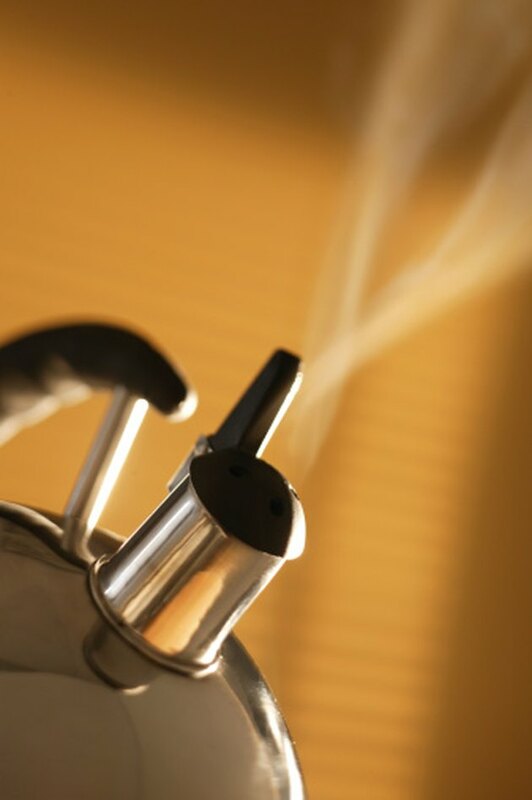 Fill a tea kettle halfway with water and bring it to a boil. Pour the water into a bowl on the kitchen or bathroom counter. Make a tent over your head with a large bath towel. Drape the towel horizontally across your shoulders and pull the edges up over your head. Lean 18 inches above the bowl for 10 to 15 minutes to open your pores and soften the blackhead, which will make it easier to extract. Wrap the tips of your index fingers in tissue and apply pressure to either side of the blackhead. This should force it out of your pore. According to ArmandHammer.com, baking soda paste is gentle enough to use every day. This mild, inexpensive exfoliant can help prevent future blackheads from forming by keeping your skin free of dead skin cells that clog the pores.